A similar bill that calls for a two-year moratorium based on a comprehensive health impact assessment is expected to be approved by the Assembly as early as today. The Independent Democratic Conference, which shares control of the Senate with Republicans, said this independent health review, known as the Geisinger study, and two other reviews on drinking water must be completed before Gov. Andrew Cuomo settles the five-year-old debate. "We have to put science first. 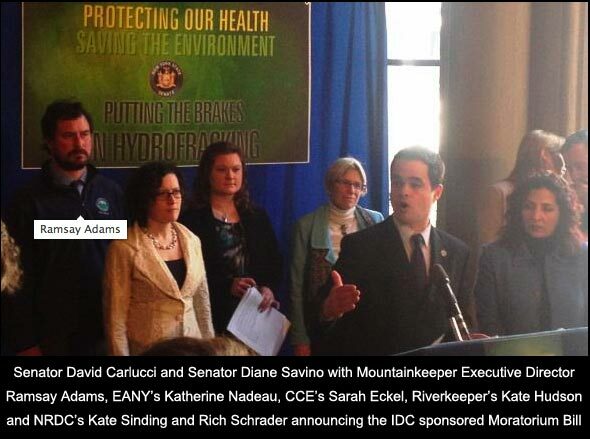 We have to put the health of New Yorkers first," said IDC member Sen. David Carlucci. "We cannot afford to make a mistake," said Sen. Diane Savino of Staten Island, another IDC member. As reported in the Albany Times Union, DOH Commissioner Dr. Nirav Shah said last month that his agency's review — conducted with the assistance of outside specialists — will be delayed as he seeks briefings from researchers currently examining fracking's possible health effects in Pennsylvania. The IDC's legislation makes specific mention of the need to wait for the completion of the three studies referenced by Shah in his February letter to DEC Commissioner Joe Martens informing him of the delay.